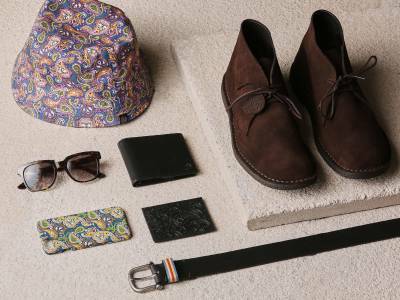 Paisley was originally called the Buta or Boteh meaning ‘flower.’ The Boteh motif started as a single flowering plant. Gradually the Boteh, tear drop motif abstracted and curved until in the 18th century the teardrop shape with the top curl becoming more exaggerated. The motif then spread from Babylon to Celtic Europe and India where it was then incorporated into all types of design. In Kashmir, patterned shawls woven from goats wool were the gifts of princes changing hands for small fortunes. It was the mid-18th century when the paisley shawl was then brought to Britain where the design evolved further updating with more floral detailing featuring images of Carnations, Dahlias and Irises as well as the traditional insects and animals like snakes and parrots. 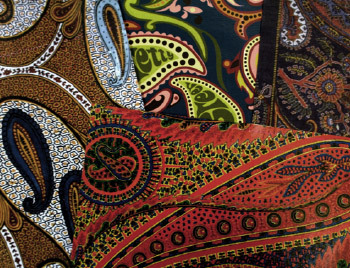 Paisleys connotations with growth, fertility and ‘ the tree of life’ are perhaps the reasons why it is associated with travel, spirituality and psychedelia, made popular in the 1960’s. The decade moved culturally towards a looser ‘swinging’ style in terms of fashion and also music, sparking the love affair with Paisley with The Beatles travels in India with the Guru Maharishi Mahesh Yogi- with John Lennon famously having his Rolls-Royce painted all over in Paisley. 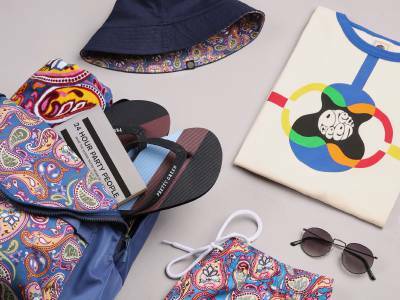 Our SS16 Campaign ‘Journey of Paisley’ dedicates itself to the psychedelic, intricate design and is featured across Shirts, Polos, Tshirts, outerwear and accessories.